LastPass is similar to AwardWallet since it saves and stores information for you. The difference is AwardWallet saves award program account information, while LastPass stores virtually everything. I love it, because I have hundreds of different logins, passwords, and accounts. It makes my life so much easier, because all I have to do is go to the website and it autofills for me. LastPass is exactly what it sounds like. It is the last password you will need to remember since you only need to login to LastPass to have access to all of your passwords. I love the name, it’s catchy. LastPass is great, because it not only stores your passwords for you, but it can also store everything from credit cards to licenses to passports to other important documents. LastPass is the only password you will need to have access to every bit of your information. Out of the password vaults I have used, LastPass is the most robust for the best price. Out of the few I have tried, they have either been too expensive or didn’t have all the features I wanted. They not only offer the ability to store your passwords and important documents, but they also offer free credit monitoring. They have implemented AES 256-bit encryption with routinely-increased PBKDF2 iterations, which ensures your information is safe. To top it off your one password you use to access LastPass is never shared with LastPass. It is encrypted and decrypted on your device. If you still would like added security, you can also add multi-factor authentication to your login. Of course, if you are still uncomfortable having all the information in one place, I would not suggest signing up for LastPass. It is ultimately up to you, based on what you feel comfortable with. You can start the sign up process for LastPass here. (Disclaimer: That is an affiliate link that gives you and I a free month of LastPass premium. Thank you for your support!) Enter your email and the password you would like to use for your LastPass. I strongly urge you to use a password you have never used before that at least hits the green line on the password bar. *Remember this password is the key to all of your important information and other passwords, you do not want it to be compromised. 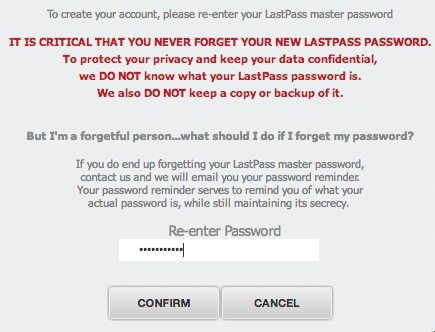 You will then be asked to re-enter your LastPass password. Make sure not to forget this password! Download LastPass and let’s get started! There is a lot to LastPass, so I won’t be able to cover everything. If you have any questions feel free to leave them in the comments. After that you enter the website, username, password, and which folder you want to put this website in. The folder you choose will be for organization purposes. You can also choose not to put it in a folder at all, fi you would prefer. Once you click Save, it will show up on your fault in the folder that you chose. If you would like to test it out, you can go to the website you entered and click the star that appears on the username and password boxes. You select that and it will autofill the information for you. Another way to save a website is by going to that website and logging in. After you login a bar will appear at the top of your screen asking you if you would like to save that password to LastPass. This feature will only work if you have the browser extension installed and you are logged into LastPass on your computer. Next, we will try Form Fill Profiles. It is basically the same process as adding a website, but you can add much more information this way. Select Form Fill Profiles in the main navigation bar. After that Select “Add a Profile” in the Actions nav bar as you did when you added a website in the previous section. This is where you can enter virtually all the information you could ever need. You can enter your bank accounts, credit cards, name, address, social security information, ect. ect. 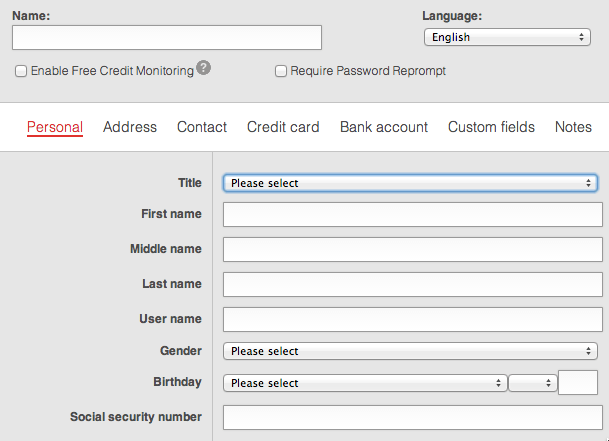 I use my Form Fill Profiles for credit cards. That way, if I ever buy something online I quickly select Fill Form and select the credit card I want to use. 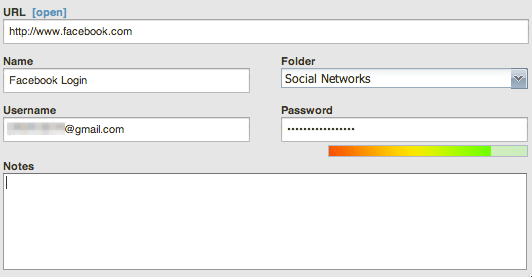 The Identities section of LastPass lets you choose which Form Fill Profiles you have access to under each Identity. For example, if you had a work related Paypal account and a personal Paypal account saved to your LastPass, you would put the work Paypal under your business identity and the personal Paypal under your home identity. That way you only have access to business passwords and websites when you are working and personal passwords and websites when you are at home. 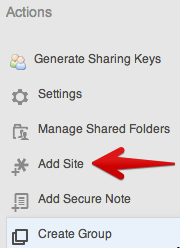 Shares allows you to share access to certain websites or passwords with friends or relatives. This would be useful if you wanted to share your business Paypal password with a co-worker. Credit Monitoring is just that: credit monitoring. 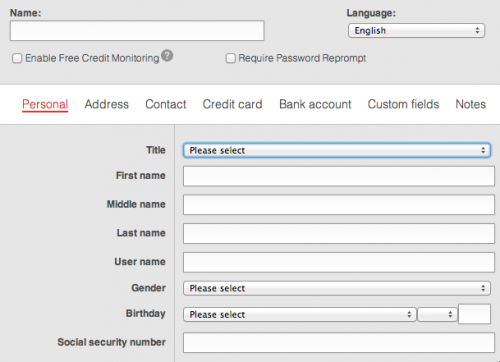 I don’t use this feature since I use Experian’s credit monitoring. This is a free service though, so if you don’t use Experian’s or other companies, I would suggest using LastPass’s. Enterprise is for business accounts. Managers can share with their employees and see which sites were visited and at what time. I have never used this feature either, but it would be very useful in a business environment. Tutorials is obviously the place to go if you are looking for help. There is a lot to LastPass, so it is likely you will need to look at the tutorials at least once (that is why it’s in the nav bar). If you have any issues you cannot figure out, let me know. I would be happy to help! Here’s a glimpse of my vault. I love organization. LastPass’s free version is great, but LastPass Premium gives you access to a lot of new features! You can use their mobile app, so you can have all of your information with you at all times. You can use multi-factor authentication. The ads on your vault will be removed (If you have ad block, then you don’t need to worry about that). You can bring LastPass anywhere via USB and you get priority assistance from their customer support. The best part about it is it only costs $12 a year! That is only $1 a month, so there is virtually no excuse for not having the Premium version. You get a free month of LastPass Premium by signing up through this link. Check it out, try it out, and see if you love it as much as I do. I want to reiterate, if you don’t feel comfortable trusting your information with a company like LastPass, I would suggest you don’t sign up. You need to feel comfortable with your information. Spend a lot of time setting up LastPass. I spent a few hours adding all of my information onto my account, when I first signed up. Now, when I need any type of information I can easily access my account and bring it up. It’s amazing! 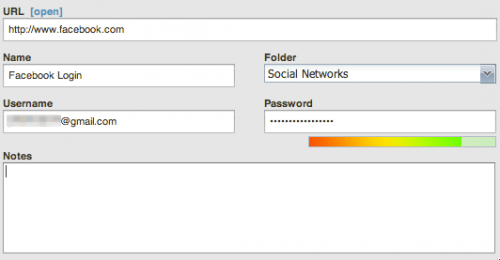 Use a VERY strong password for LastPass. You do not want anyone getting access to your LastPass when you have a lot of personal information on it. Keep it safe and use a very strong password. 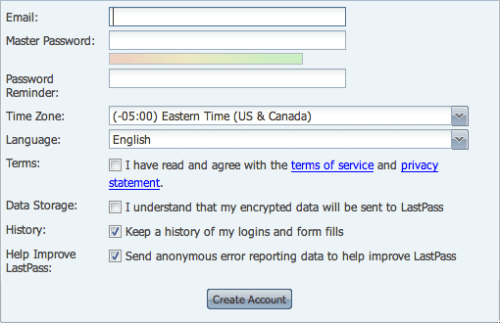 I would suggest setting LastPass to require a password after 5 minutes of inactivity. That way, if you ever leave your computer for more than 5 minutes, you do not have to worry about someone having access to your account. If you have trouble, check out the tutorial section. It is full of a lot of great information! Alternatively, you can leave a comment. Here is the sign up link. Enjoy!